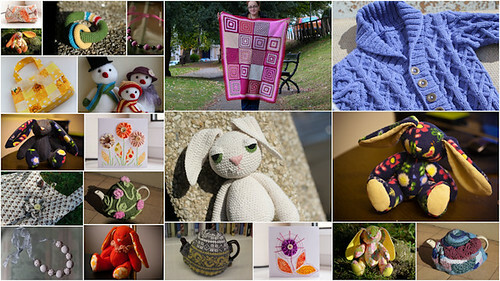 my craft 2011, a photo by crochetomania on Flickr. Well, this is how year 2011 looks like. Not bad, isn't it? Actually, there should be about 10 pictures more, but I still sometimes forget to make a picture of finished project before I give it away. It was a good year not only in my crafty life, but in my personal life aswell. I become a wife of my heroe and a mum of my angel that is why I really think this year changed my life. Thank you, Year 2011! Hope 2012 will be as good as you were.